Singapore is a city where uncountable amount of banknotes, gold, jewels and luxury. Those who spend them successfully also live there. 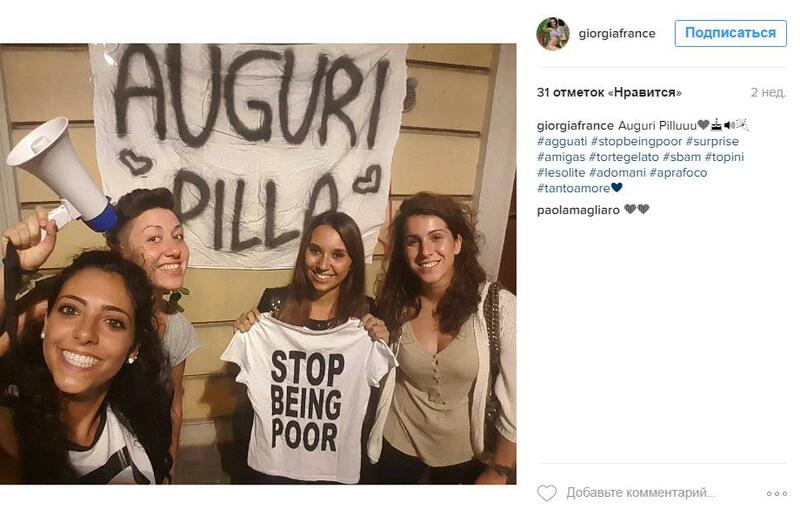 Moreover, the whole Instagram and millions of people for whom a young blood’s flashmob called “Stop being poor” is organized know how they do this. 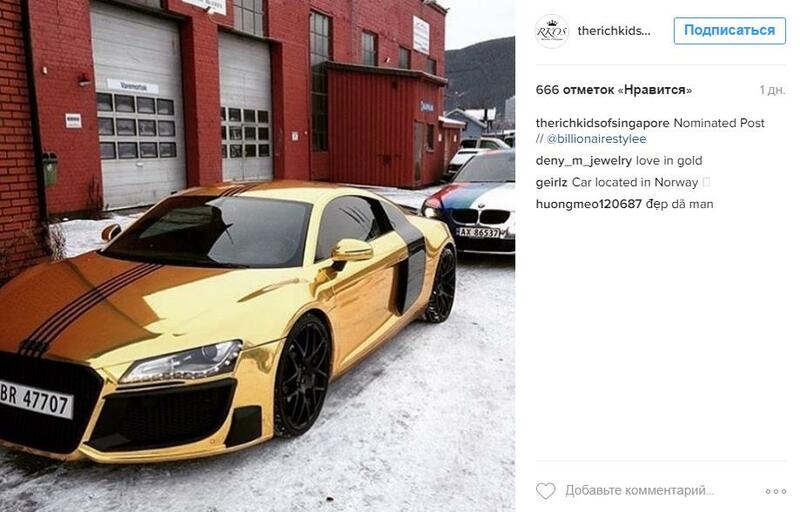 “The gilded youth” is the children who spend their rich parents’ wealth demonstrating their successfulness in an online environment. The Instagram account “Rich Kids of Singapore” which unexpectedly appeared in September gathered 50000 followers within several weeks. And the most surprising thing is that it turned into one of the most noticeable and provocative in the foreign account segment. It is easy to guess that the characters of the Rich Kids of Singapore webpage are the owners of luxury apartments, high-end vehicles and other prizes of life. They post all of this in their Instagram pages causing a serious stir on the Web. As a rule, the comments left under these photos do not pass the censor. But they are suitable for posting in the Rich Kids of Singapore account. 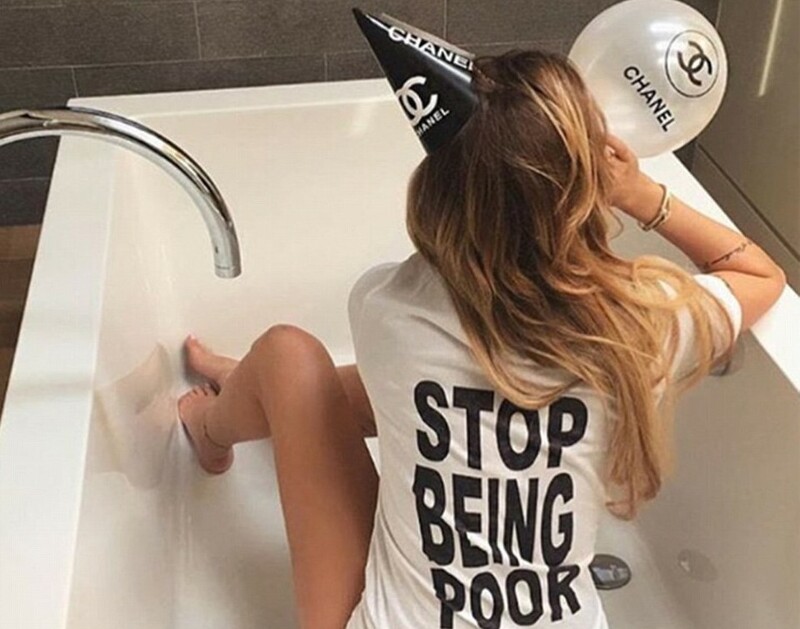 As to the flashmob, everything began when the photo on which the user Chess Leigh from Paris (Instagram — @therealteacup) sits in a bath in a T-shirt with a writing “Stop being poor” two month ago. The photo immediately spread all over the Internet and got to the account of “the gilded Singapore youth”. 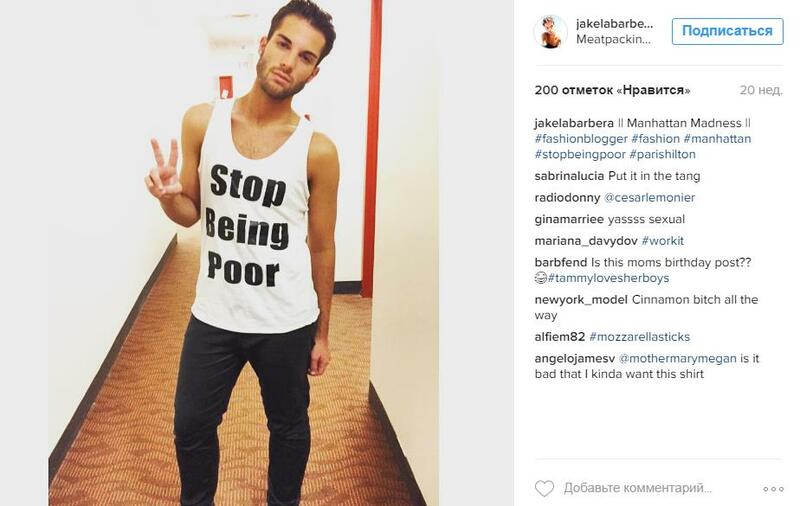 There are more than 3000 hashtags in Instagram and hundreds of users’ posts with similar T-shirts. Even a photo of the famous pop-diva Paris Hilton is among them. 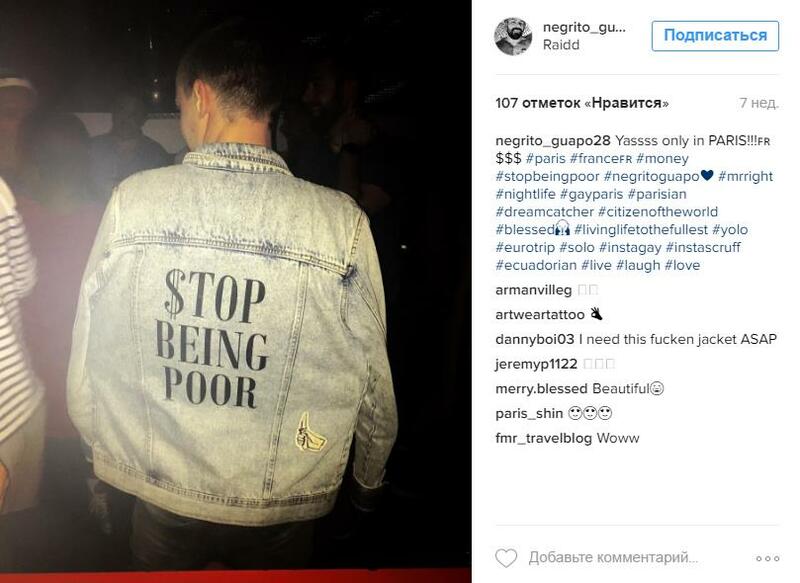 The posts with unusual comments are about the lives of todays “gilded youth”. Posted in Trends and tagged Singapore, Stop being poor. Bookmark the permalink.